This was a pomade I tried early on in my quest. 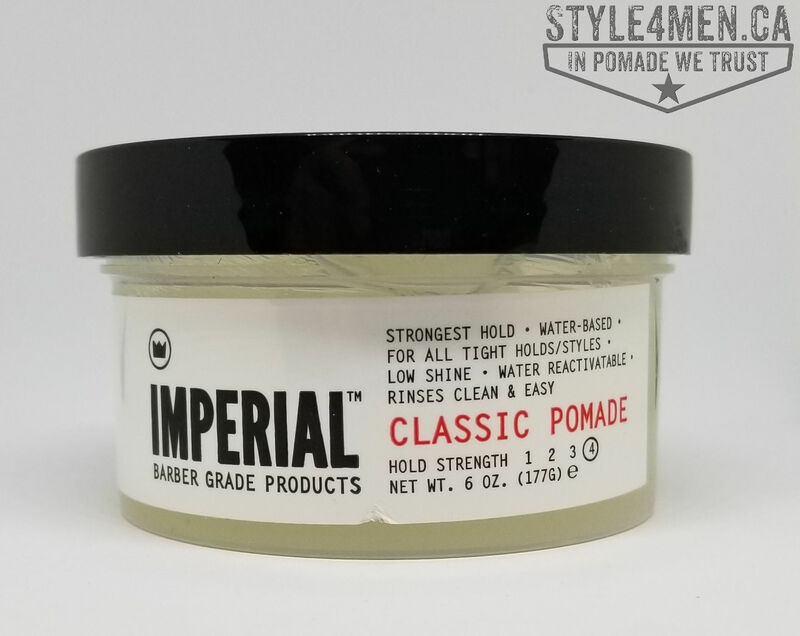 At that time my curiosity and desire to find the perfect pomade was immense and I was willing to pay a premium to find it. A few sites gave good descriptions and overall people spoke highly of this product. After much searching for a Canadian vendor, I found that the Toronto store Men Essentials sold it on-line for some $25 (at the time) and shipping was a fixed $5. It has since sadly gone up. About 2 days after placing my order, I was pleased to find the pomade in my mailbox. The first impression is a lasting one. This stuff smells FABULOUS! Think watermelon and cucumber – totally fresh! 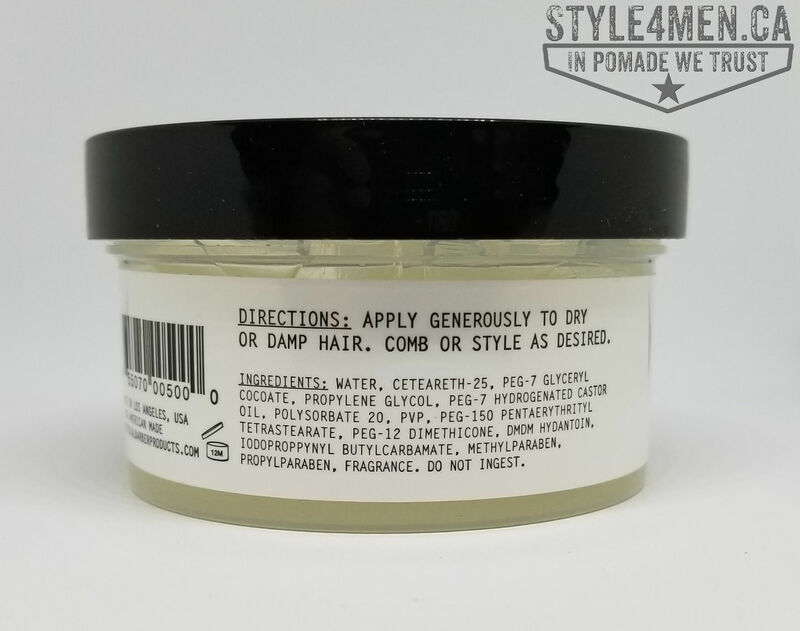 As you can see in the picture above, the pomade itself is a bit opaque. They also make a black version. I have yet to try that one, but I can see that this would be fun if you want to hide a bit of grey. The texture is firm, but totally easy to smooth out for application. It goes it good. Feels pretty decent, although a minuscule touch wet or greasy. I just mention it because it does not totally dry like the ZEUS or STEADFAST does, but has a comparable texture to these in the jar. Speaking of the jar, at 177 gr it is a generous quantity that will last you a few months. Once in the hair it holds very well and you can get creative and get some height. Your style will last the day. 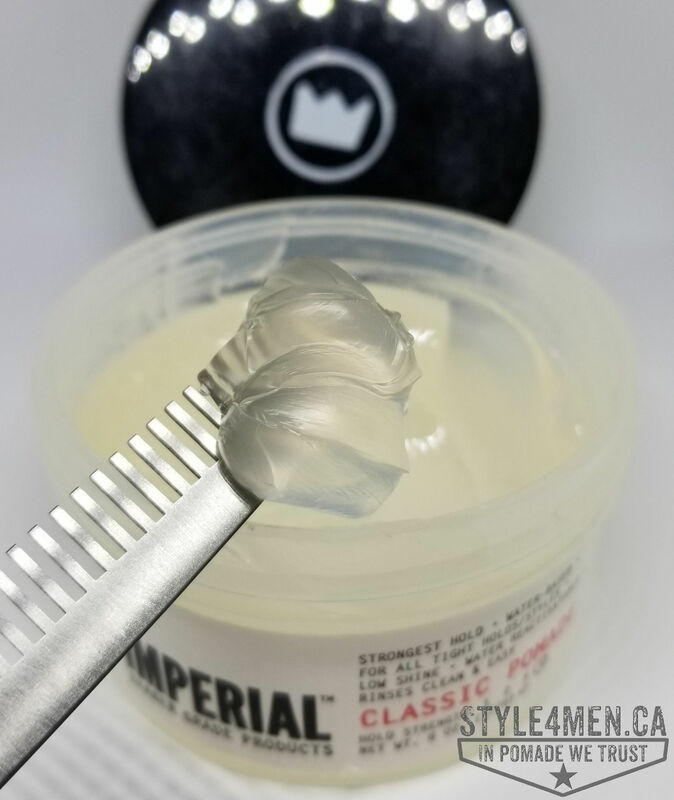 Washing it out is a total breeze again like most of the other water based pomades we reviewed. Just rinse with water and it’s practically gone. On that same topic if you want to touch up your style during the day, a few drops of water will suffice to reshape your hair. I don’t use IMPERIAL everyday, but every time I go for it I am always pleasantly rewarded. A top notch product worthy of trying. Here is the rating on a scale of 1 to 5, where 5 is a perfect score. 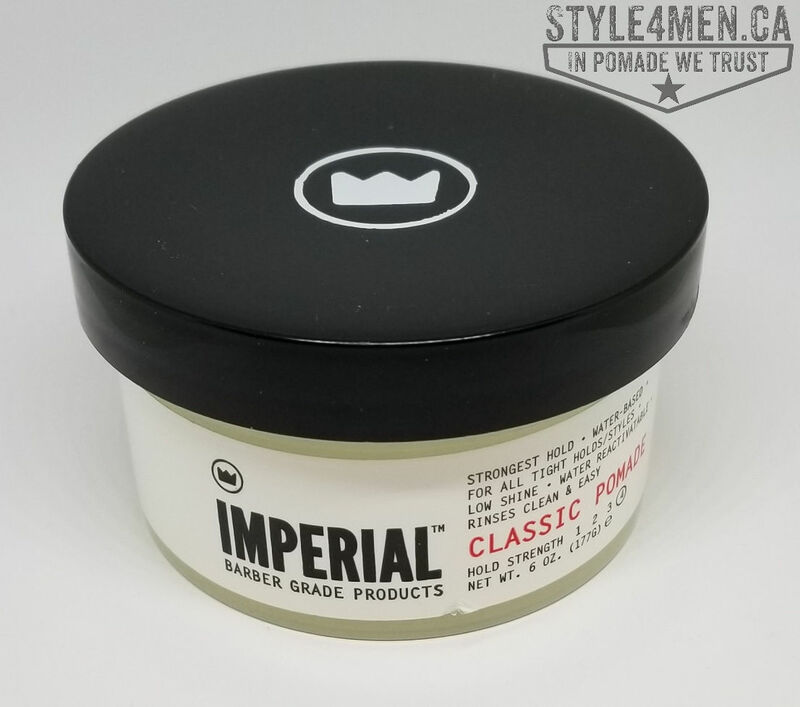 Imperial also makes a “black-top” pomade. Check out their video of it.